What makes a garden shed a useful building but Lincoln Cathedral a piece of architecture? Harbinder Birdi and Kimberley Stott, architects from Hawkins/Brown, posed the girls of the Middle School this question. By the end of their highly interactive talk, there was a very simple and clear answer. Architecture is sculpture that we live in. It makes a statement, draws the eye and contributes to our environment. 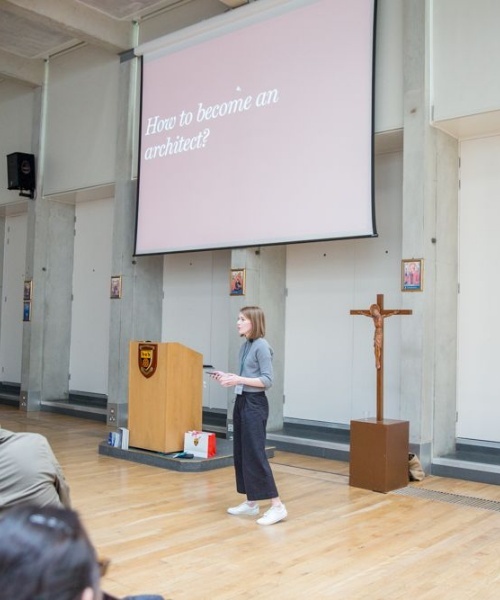 Pupils in Years 7 to 9 were offered a fascinating insight into careers in architecture by Kimberley Stott. Although only 25% of engineers are women, there is an almost even gender balance in architecture (48:52) so the desire is just to produce more qualified architects, as there is a relative shortage of good architects. London is famous both for its architecture and the quality of its architects so London architects are highly prized internationally. A range of A levels can provide access to this career route – what is needed is evidence of creativity, design and the ability to communicate with engineers, builders, clients and the public. More than once Kimberley made the analogy with building design and modelling being like playing Minecraft x10 – especially as each ‘block’ has a monetary and an environmental cost, which architects take into account when designing a building: because a good architect is someone who can design something beautiful, on time and within a budget. 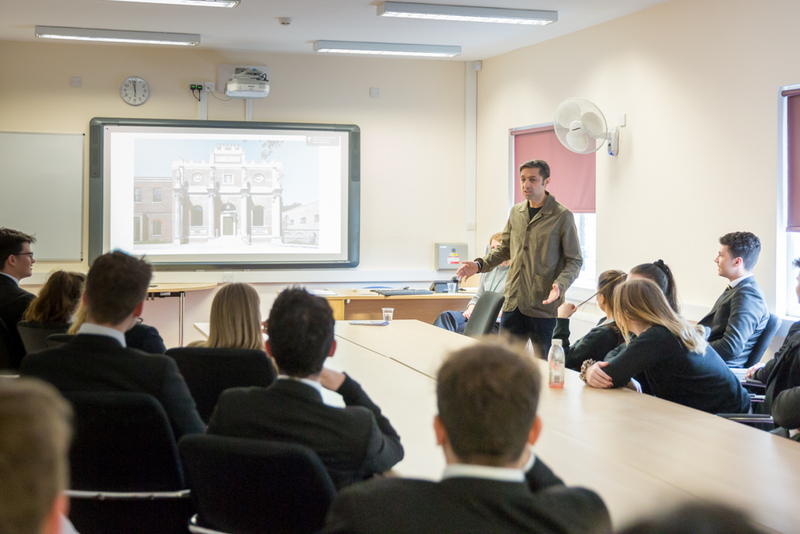 Questions were non-stop from the floor with a lively and engaged audience hearing about the degree apprenticeship routes now available, as well as learning about Sir John Soane, an architect who was as famous as Richard Rogers or Norman Foster today. 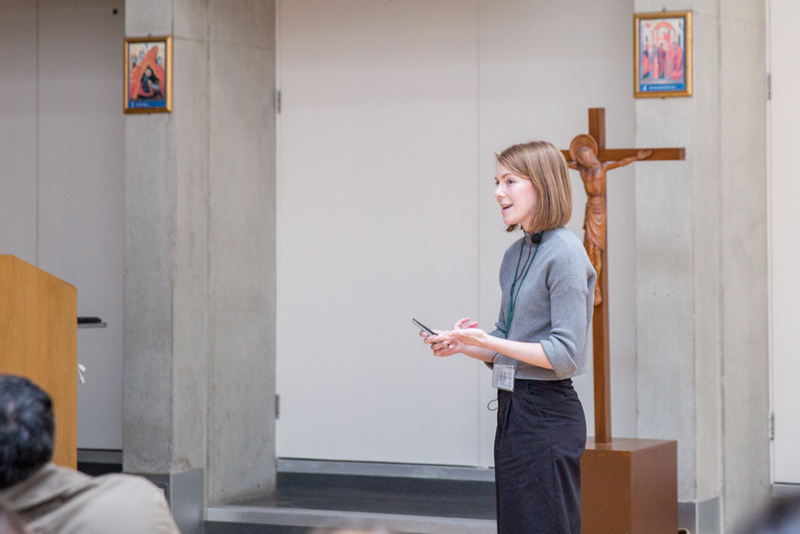 The Middle School talk was followed by a more intimate, highly challenging and engaging discussion with the Upper School and Sixth Form, on cities in 2030 and the questions to which we will need answers from engineers, architects and urban designers. 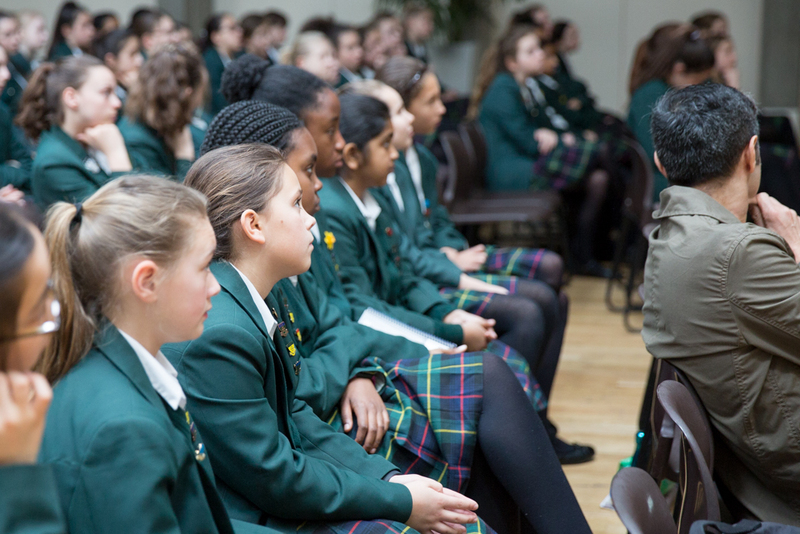 We also discussed the projects happening around us now in Ealing: including the recent reopening of Pitzhanger Manor – designed by Sir John Soane as his country residence - with the new gallery’s inaugural exhibition by Anish Kapoor and the opportunities for our pupils to become involved in outreach in Ealing. Conversations covered projects and the role of architecture and flowed into fundamental questions on how we finance projects, manage sustainability and deal with the individual wealth creation driven by publicly funded projects. For instance, if someone’s house increases in value because it is now close to a Crossrail station, should the government claim more of that increase back to help fund future projects? Alternatively, why should residents of Ealing and Chiswick be allowed to block a third runway, when residents of Hounslow and Southall want to benefit from the new employment opportunities? And how will the Mayor of London resolve London’s housing crisis? Mr Birdi has promised to visit us again with a talk on this last issue, which directly touches all our pupils! As with the earlier session pupils were keen to stay on and talk more. Mr Birdi, as a trustee of the Pitzhanger Manor restoration committee, also offered an invitation and an opportunity to our pupils. We have a stunning, historical and newly revived piece of architecture in Ealing, with a mission to reach out and involve the local community in an understanding both of the site’s past and the new art it is bringing in. The role of young people in schools will be key, and pupils of St Benedict’s are uniquely placed to help be a part of this work. We are already looking forward to Mr Birdi and Hawkins/Brown’s return in the autumn!